Cosmetic tattooing is also known as micro-pigmentation or colour implantation. It is a long lasting makeup tattooing treatment, which can last from 2 to 8 years. Wake up with defined, perfect eyebrows everyday. 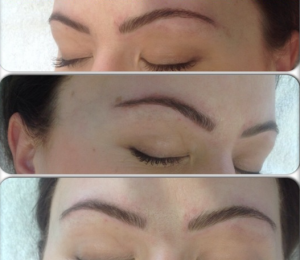 Feather touch brow tattooing has now become the new favorite and is replacing the traditional block tattoo technique. Fine strokes are penetrated into the skin using a hypo-allergenic pigment, creating a hair-like finish within the eyebrows. The result is a completely natural looking brow that blends with or without your natural hair along the brow bone. This treatment will generally last up to two year depending on clients individual life style, sun exposure habits, and resistance to pigment. Before and during the procedure, anesthetic is continually applied to the area to decrease any pain or discomfort that you may feel. 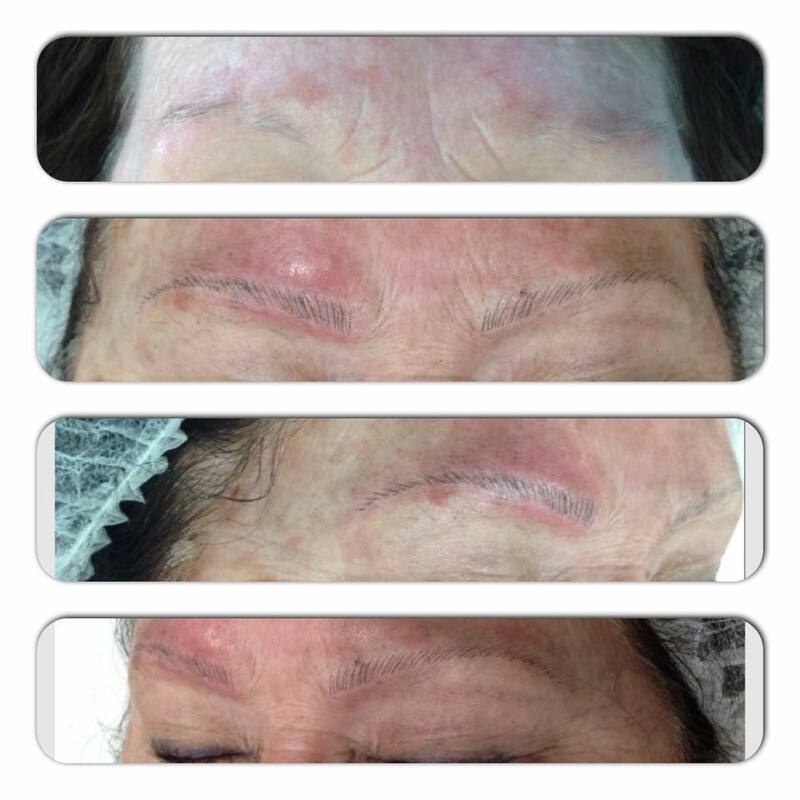 Depending on the depth of colour used, generally the brows are 50% darker than the desired result for the first 10 days whilst the area heals. Using an antiseptic ointment such as Protat or Bepanthen cream is recommended post procedure for up to 5 days to allow the area to heal correctly. A full assessment and colour selection is required before proceeding with a cosmetic tattoo procedure. Some areas may require more than one treatment, which will be discussed during a detailed consultation with your technician.